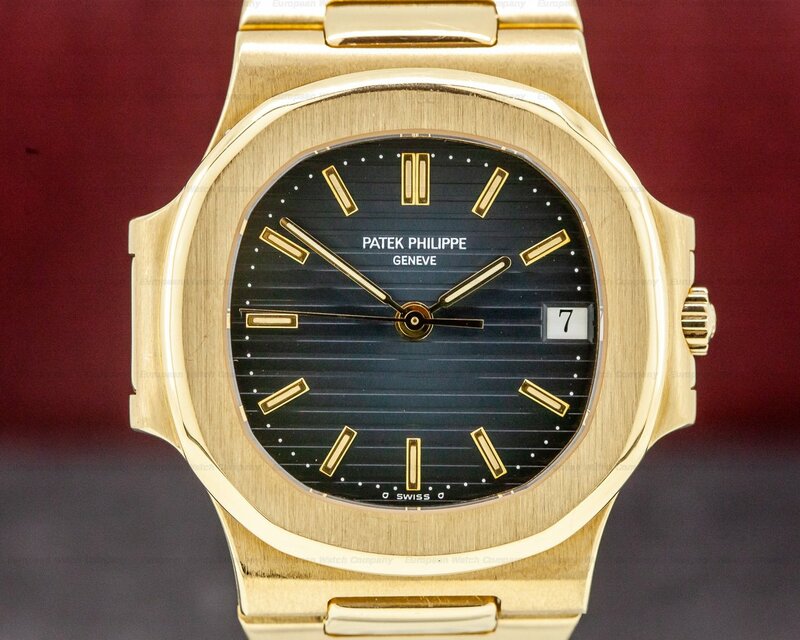 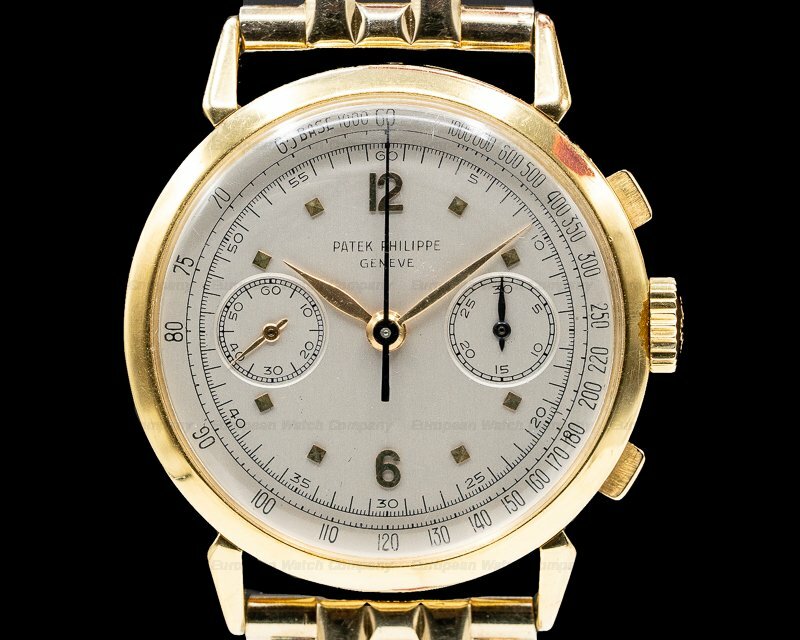 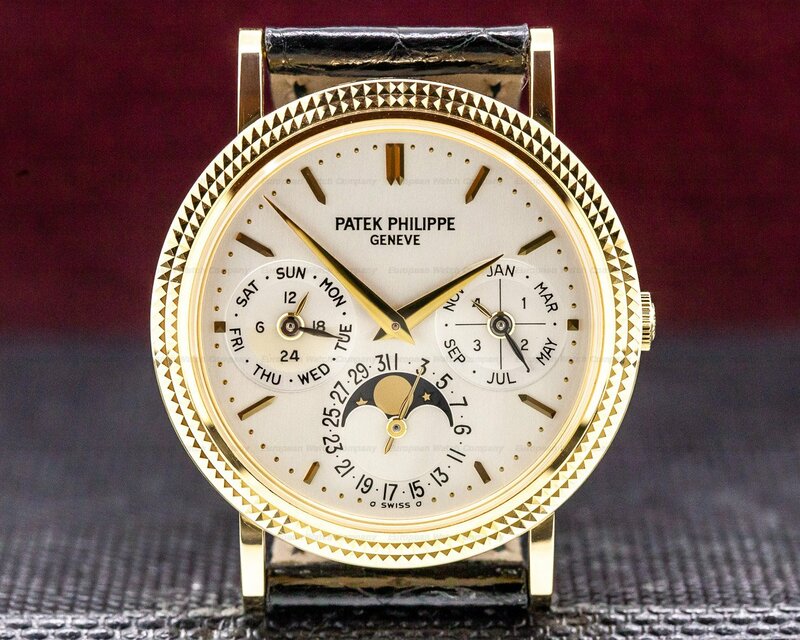 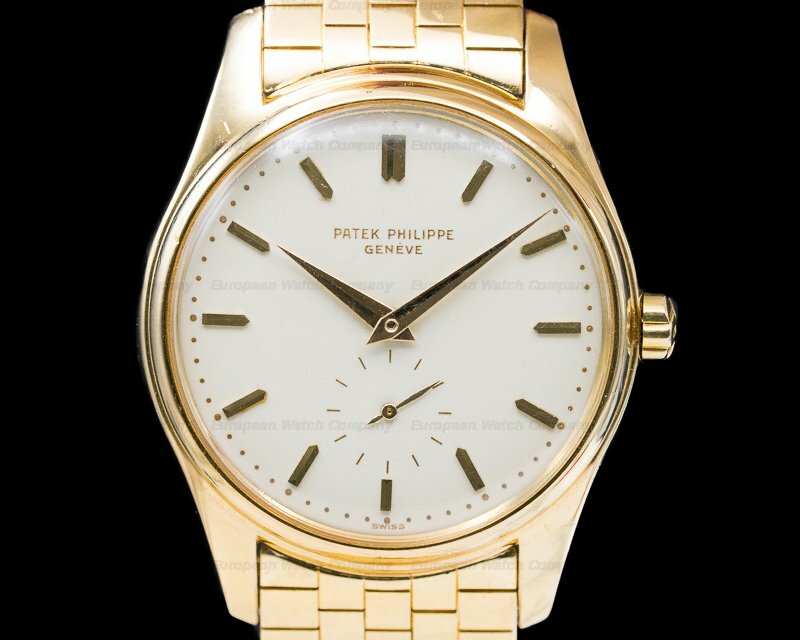 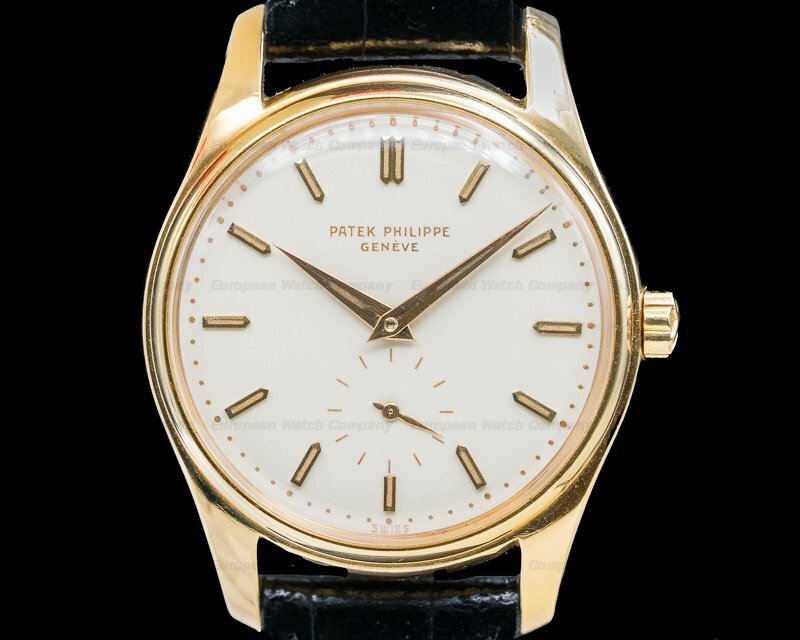 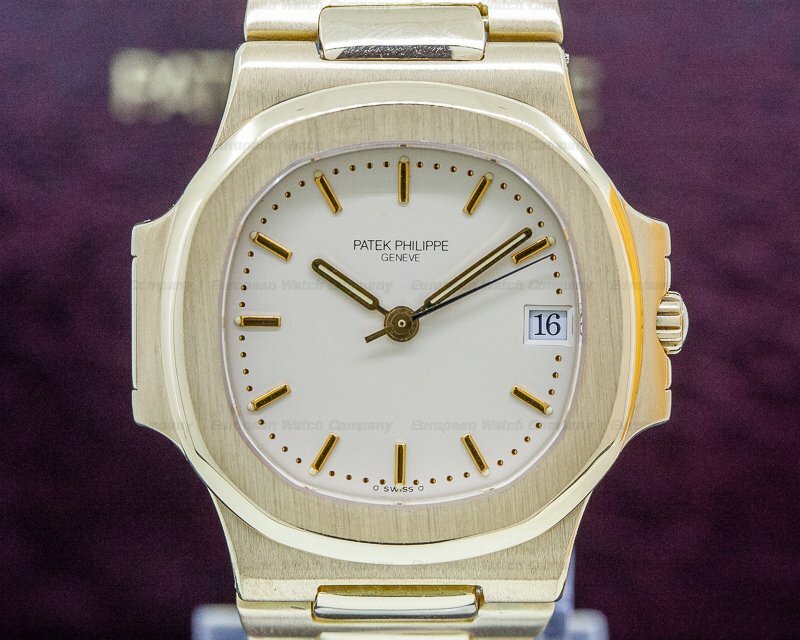 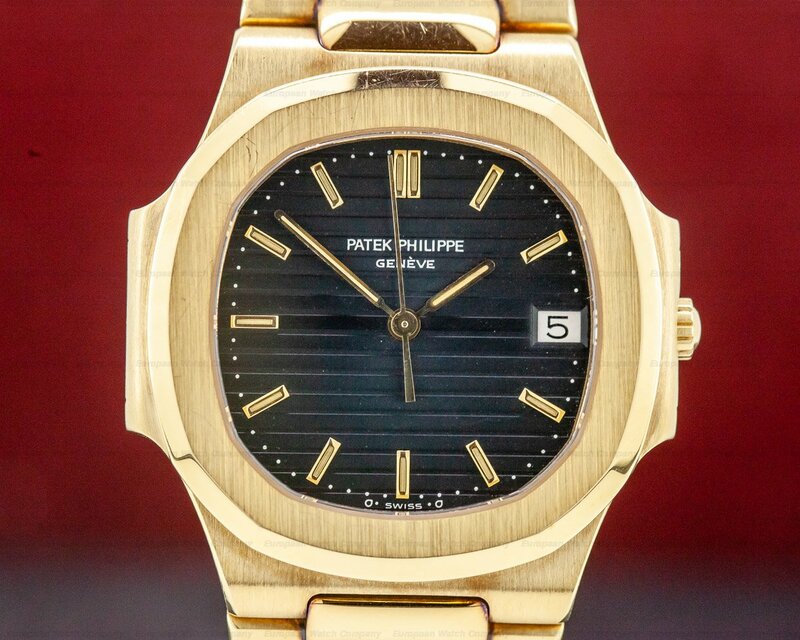 This is an 18K yellow gold Patek Philippe Nautilus 3800/001. 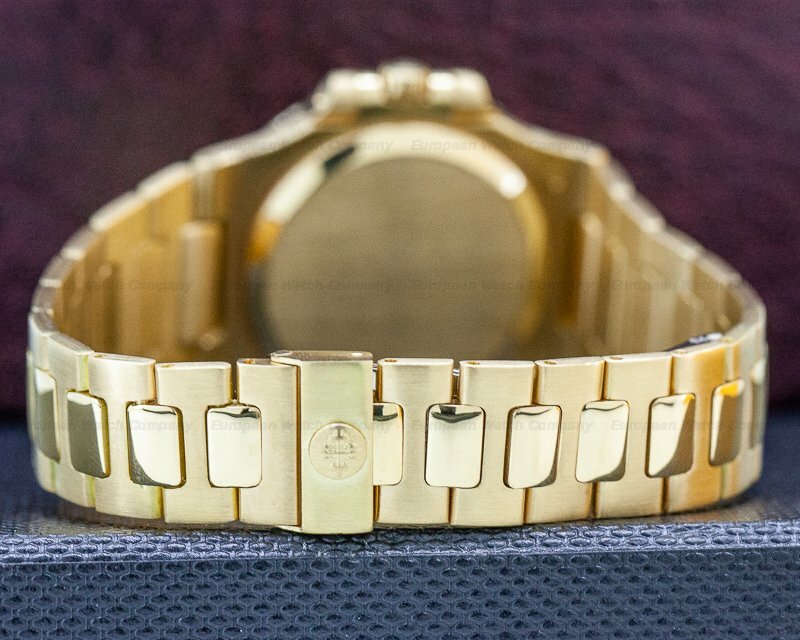 It has an integral matching 18k yellow gold link bracelet with a deployant clasp. 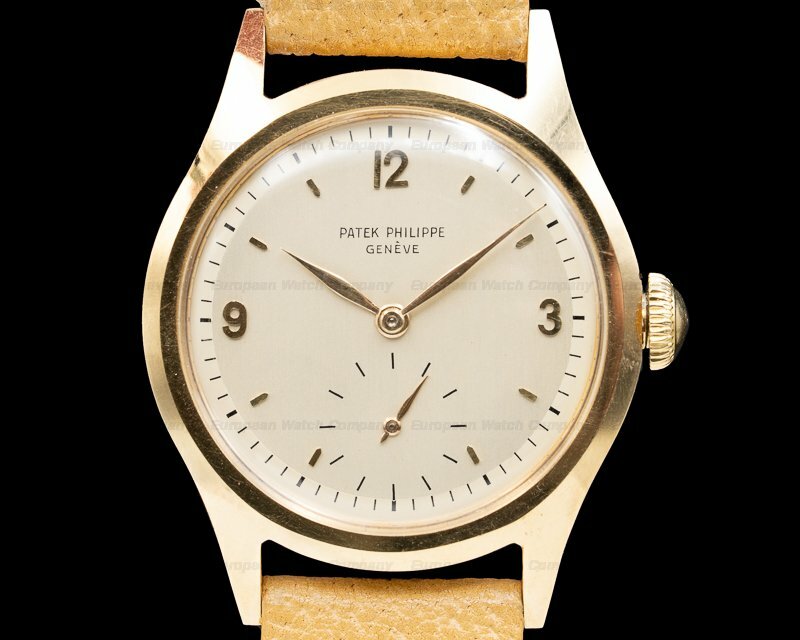 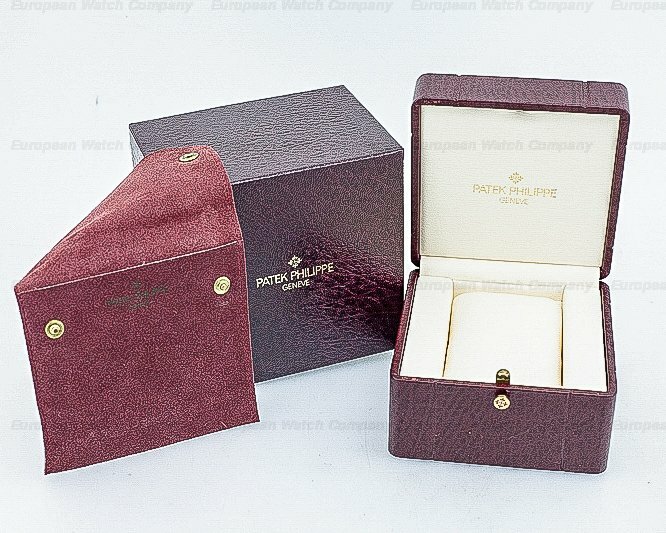 It is cushion shaped with a "cupped" bezel, a protected winding crown, and a champagne dial with applied gold faceted baton hour indexes and hands with luminous inserts, and outer dot minute divisions. 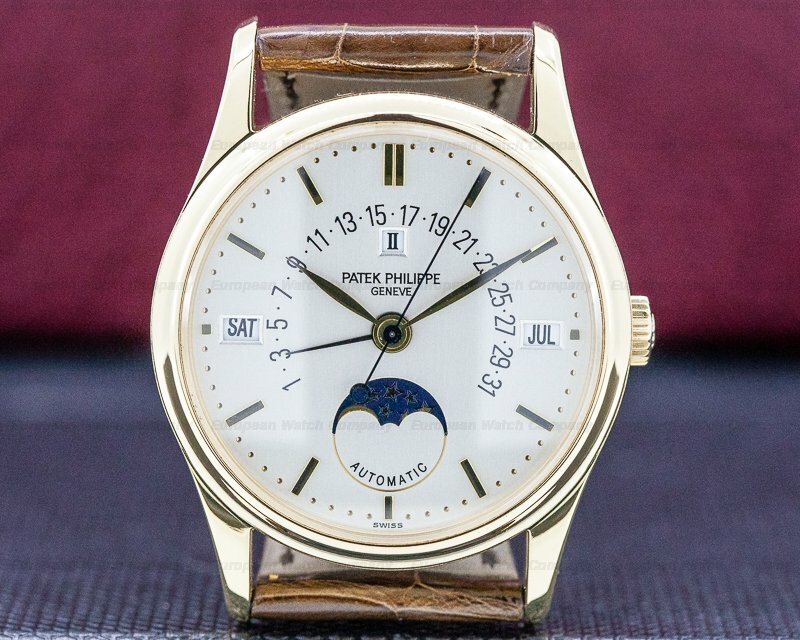 The date window is at 3 o'clock and it has a centered sweep seconds hand. 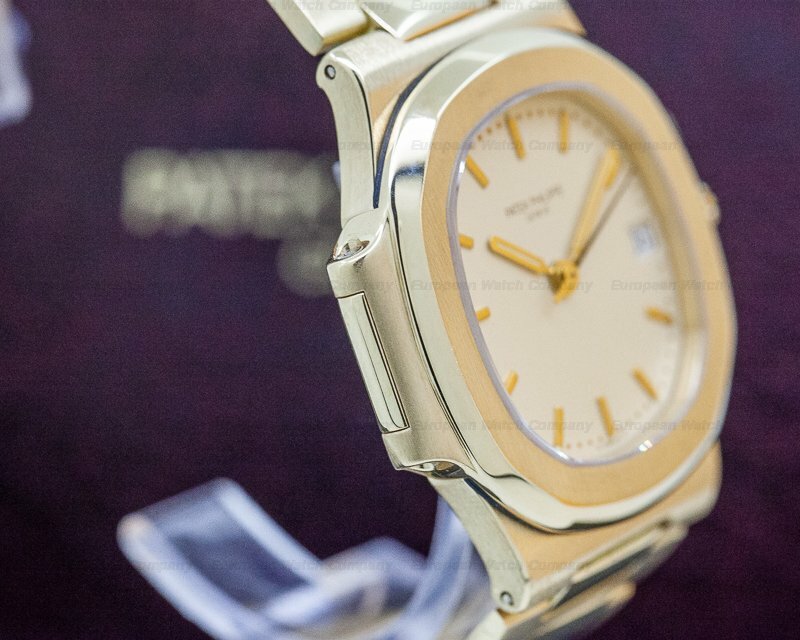 It has a power reserve of 45 hours, and the solid, two-body case is both polished and brushed. 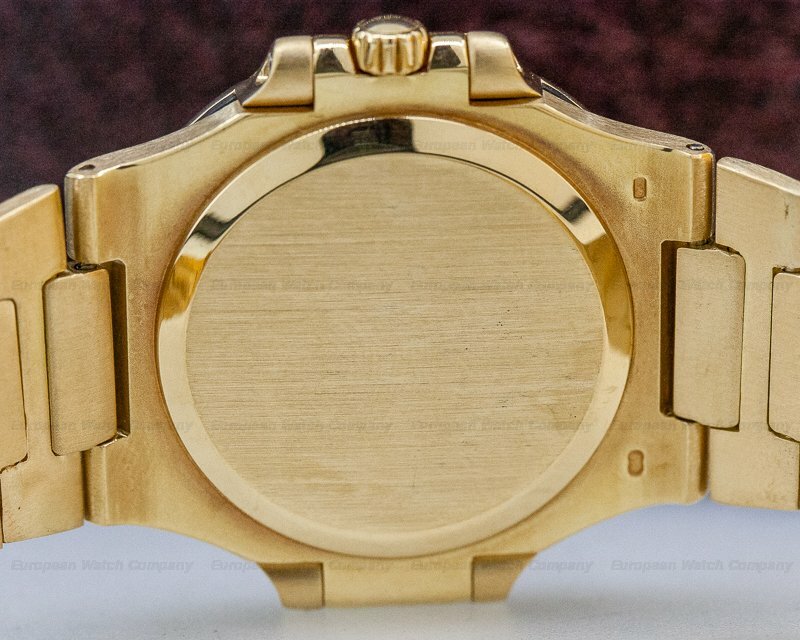 It's water resistant to 120m, and the case, dial, and movement are all signed. 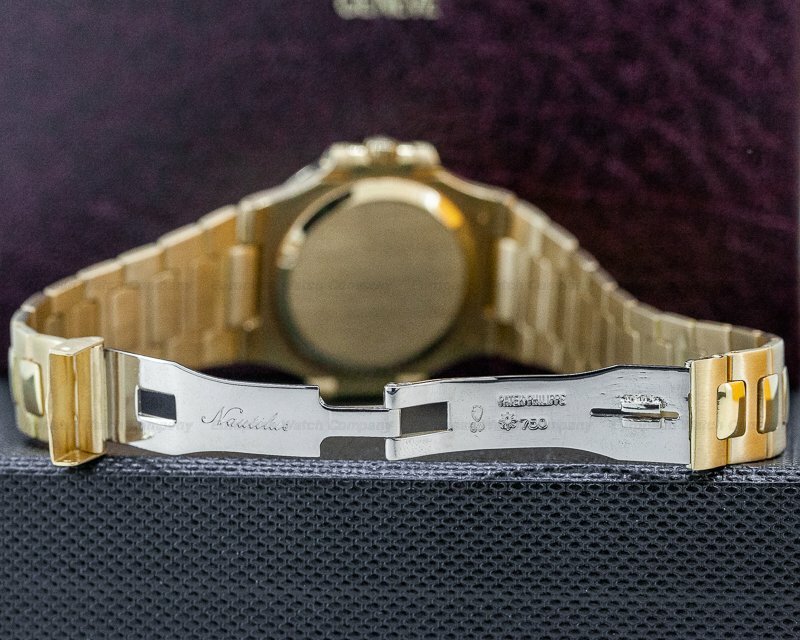 The automatic calibre 335 SC Movement is rhodium-plated with fausses cotes embellishment. 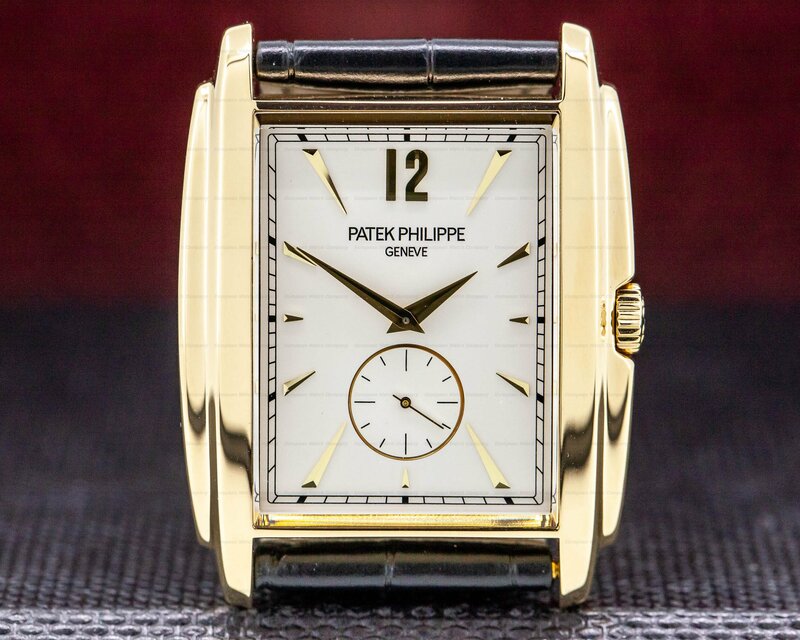 It's constructed with 29 jewels, a straight-line lever escapement, and a shock absorber mechanism. 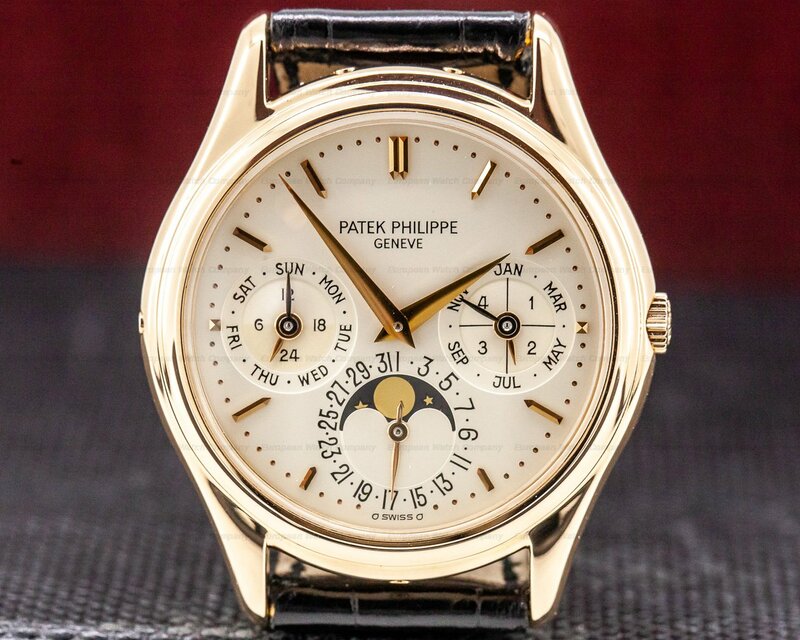 It includes a monometallic balance adjusted to cold, heat, isochronism, and 5 positions, and a self-compensating flat balance spring. 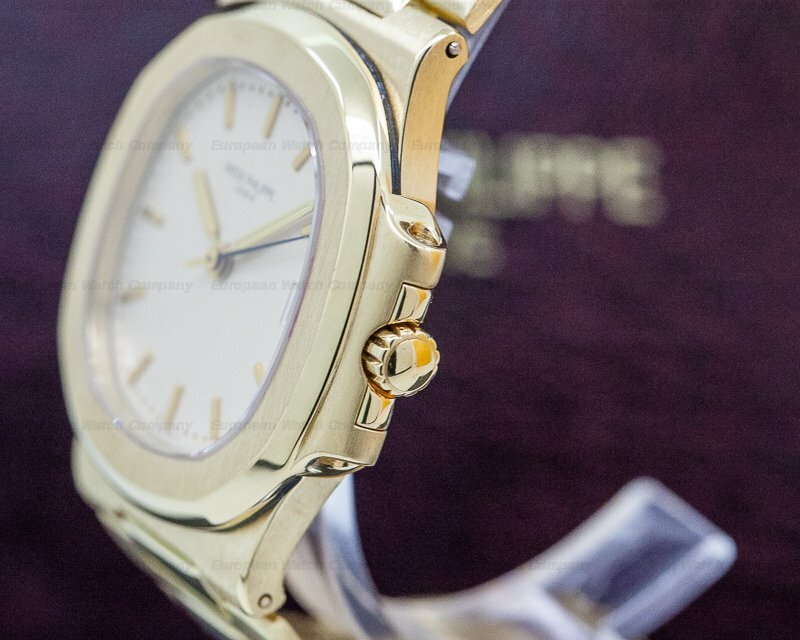 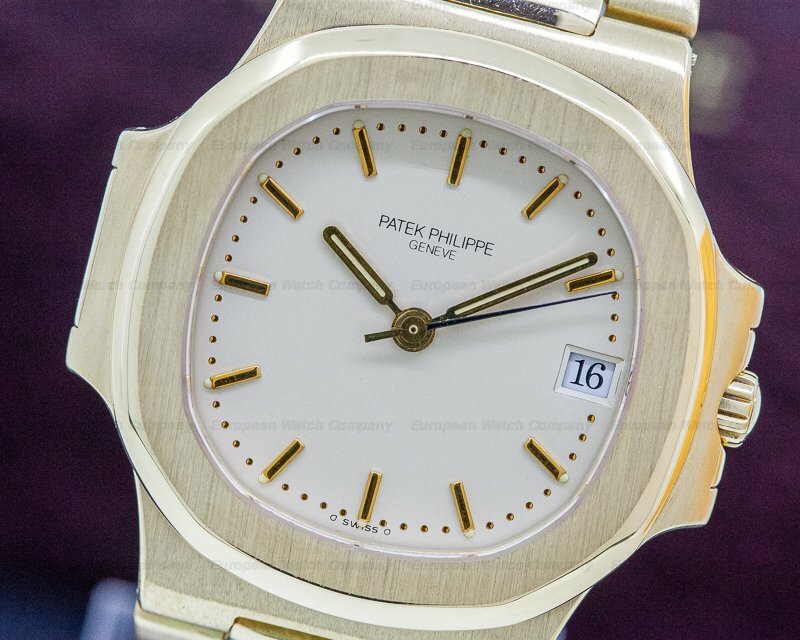 Patek first introduced the Nautilus in 1976 and it was a contemporary style revolution. 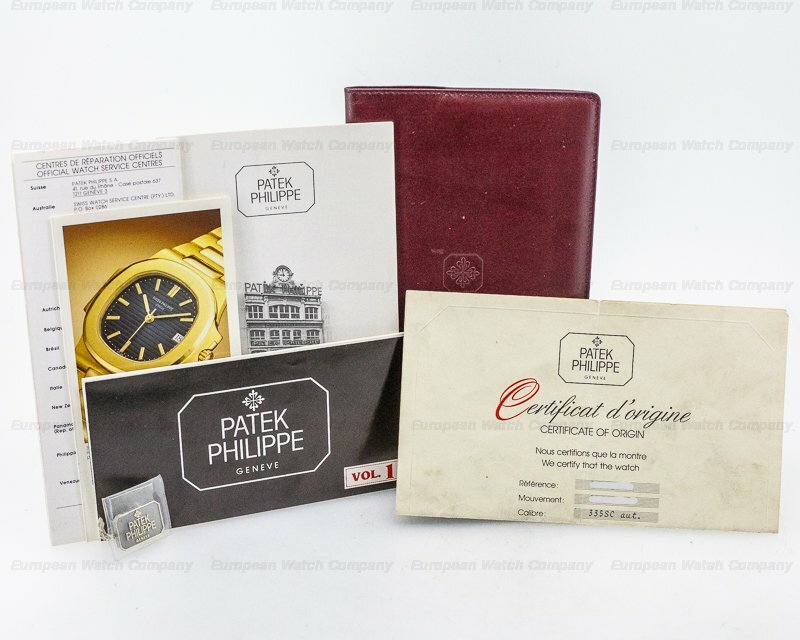 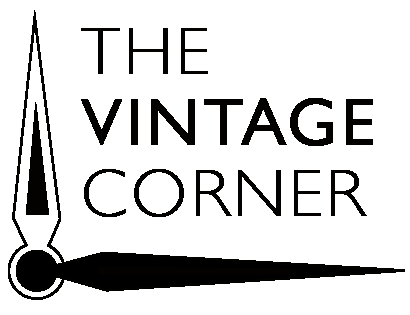 It has been expanded into a huge collection of elegant sport watches based on the universal shape of the porthole of a maritime vessel.